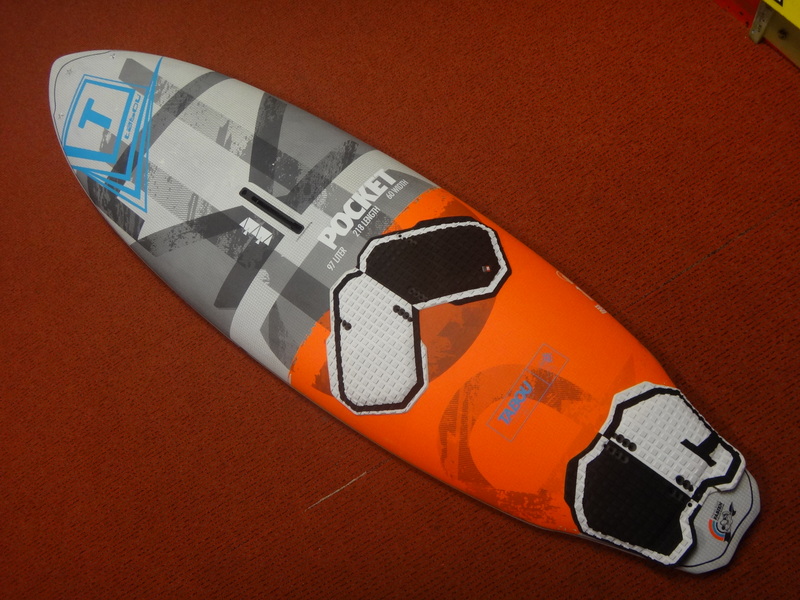 The new Pocket is a modern wave board that is the result of 4 years of testing compact shapes. 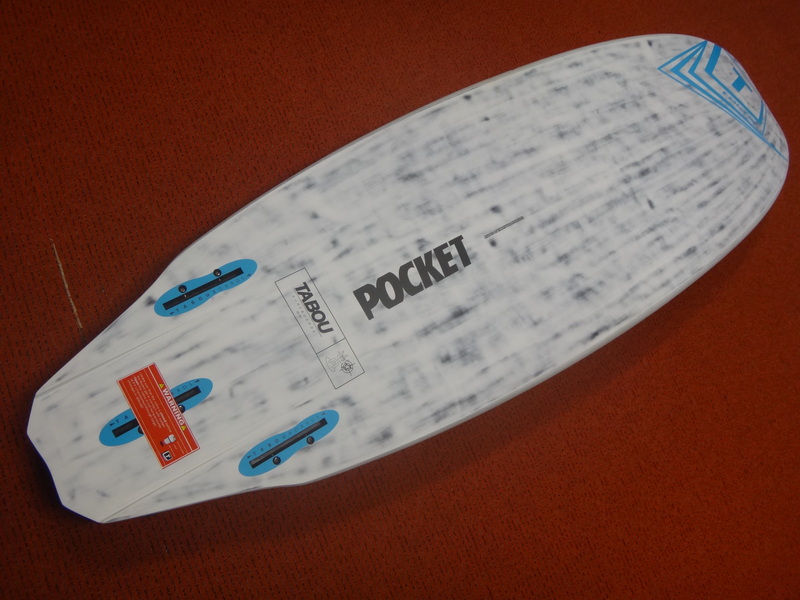 Originally we designed the new Pocket for weaker, real-world waves, but our team riders love riding the Pocket at Hookipa too. 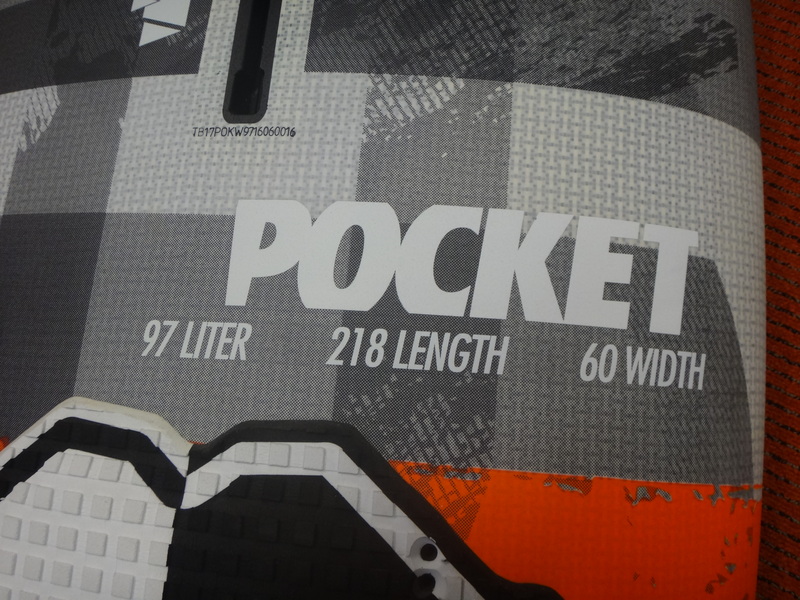 Even though it is fast and easy to ride, when pressure is applied to the backfoot during wave riding, the new Pocket turns radically with lots of speed. We tested every kind of nose and tail shape, and the new Pocket features our favorite combination: a double-diamond tail and a normal nose, for a mix of maneuverability and comfort. The short length and winger outline make turning radically easy, which allowed us to use a very straight rocker so that the Pocket accelerates even when the wind is light or the current is strong.